When I became a mom, my cooking skills were put to a test. There was a point when my firstborn, Sophia only ate chicken nuggets, adobo and anything fried, anything processed. So I knew I had to step up; making sure the dishes I cooked are delicious was no longer enough. It has to look happy and be healthy! I will never claim it was easy but let me just say it again in case I have mentioned it before in my previous posts that it's the parents' fault if kids don't eat healthily. Harsh but true. Sophia still doesn't eat ampalaya (just like I sometimes do) but I know that her early training to eat what's on the table is a story of success. 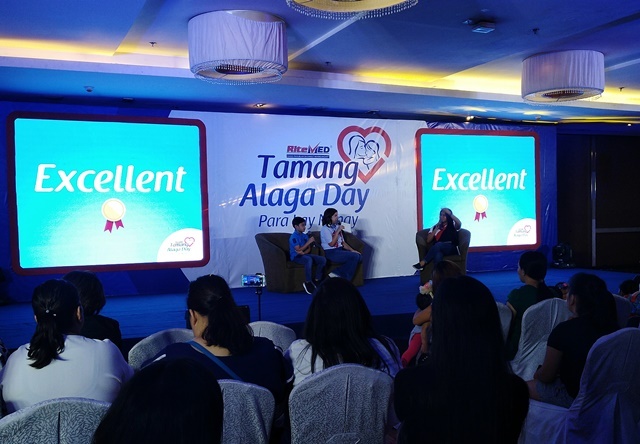 And that is what I briefly shared with the mommies who were invited to attend RiteMED's Tamang Alaga Day: Para Kay Nanay last May 20th! My booth was called the Tamang Nutrisyon booth where I taught them to make Fruit Kebabs. It's an exciting and enticing way to serve fruits to our kids. They learned how to present the fruits nicely, making sure it's clean and still fresh. I also added helpful tips along the way as we went along with our short lecture. 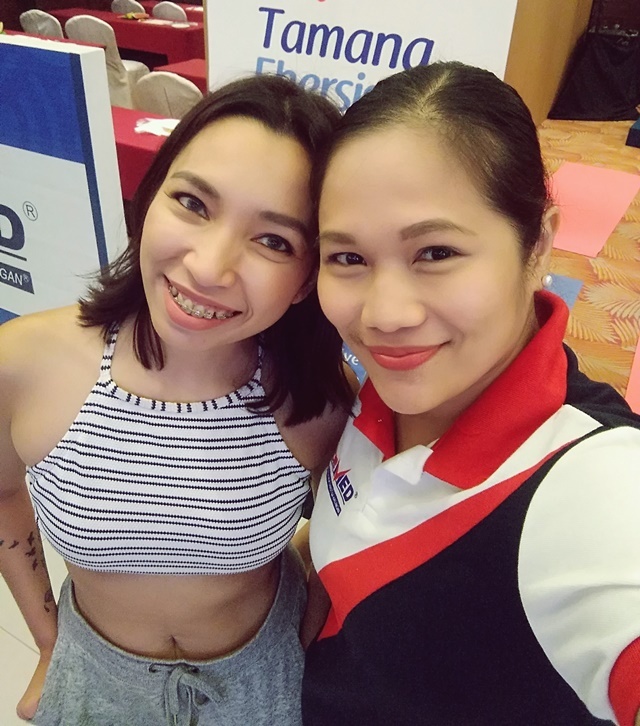 After the mommies made fruit kebabs with me, they went to the Tamang Ehersisyo booth to do HIITs with Macho Mom, Kaycee Enerva then finally had head and back massage at the Tamang Pahinga booth. 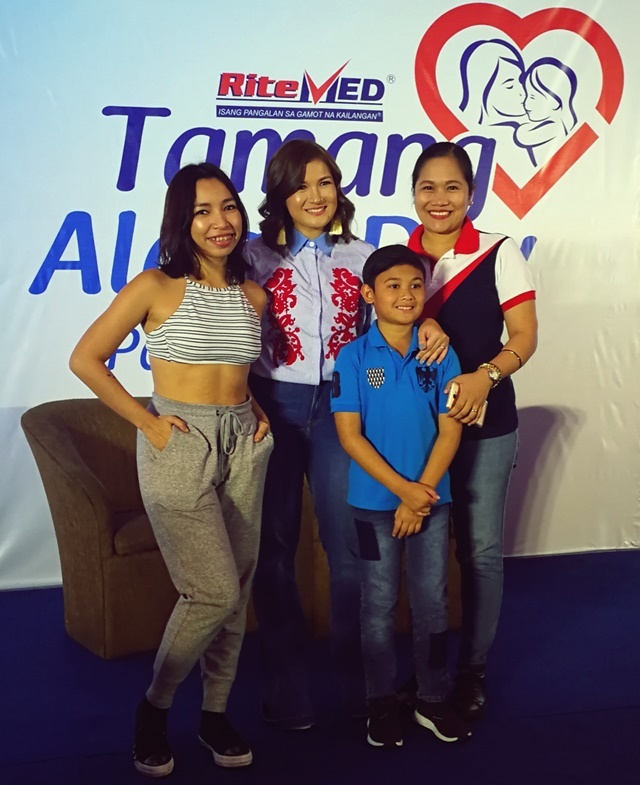 Rite Mommy Camille Prats with her son Nathan came to share her parenting insights with all the mommies. There were raffle prizes drawn after and all we felt was happiness for the winners. Nakakahawa ang ngiti nilang lahat that my cheekbones actually hurt from smiling, haha! I also met some of my readers! Nakakatuwa that I wish I can meet more of you someday. The program ended with lots of smile and selfies. My family was outside waiting for me. And although they are my everything, I felt that my being away from them even for just a few hours was good for all of us, most especially for me. I had time and opportunity to do what I love (i.e. chatting about food in front of my fellow mommies) and earn from it, too. Happy mommy, happy family. Isn't it that when your cup is full, that is when you can share more from it? So mommies, don't forget to prioritize yourself so you can care for your family better. 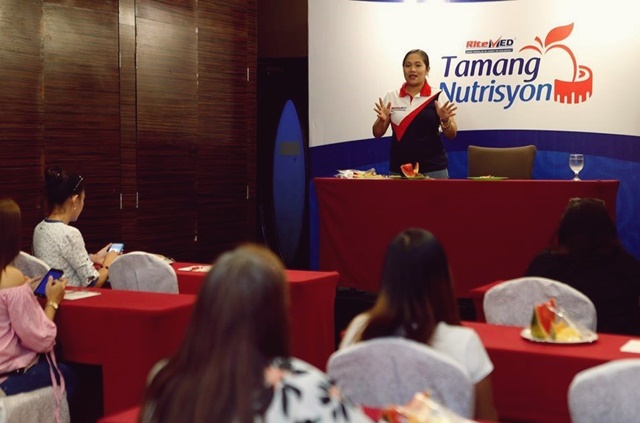 Like what RiteMED wants all of us to always put in my mind – for our families to have Tamang Alaga by having Tamang Nutrisyon, Tamang Ehersisyo and Tamang Pahinga. 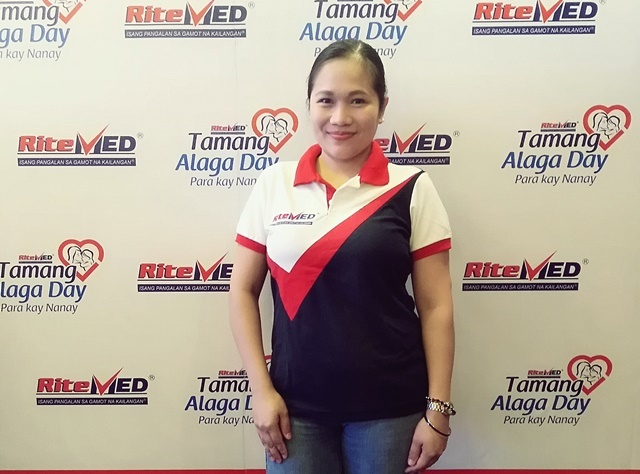 Disclosure: This post is sponsored by RiteMed but all thoughts and opinions are my own.